Fisher-Price Little People Music Parade Ride-On Just $23.99! Down From $40! You are here: Home / Great Deals / Amazon Deals / Fisher-Price Little People Music Parade Ride-On Just $23.99! Down From $40! For a limited time only! Amazon is currently offering the Fisher-Price Little People Music Parade Ride-On for just $23.99 down from $39.99 PLUS FREE shipping with Amazon Prime or for orders over $25! 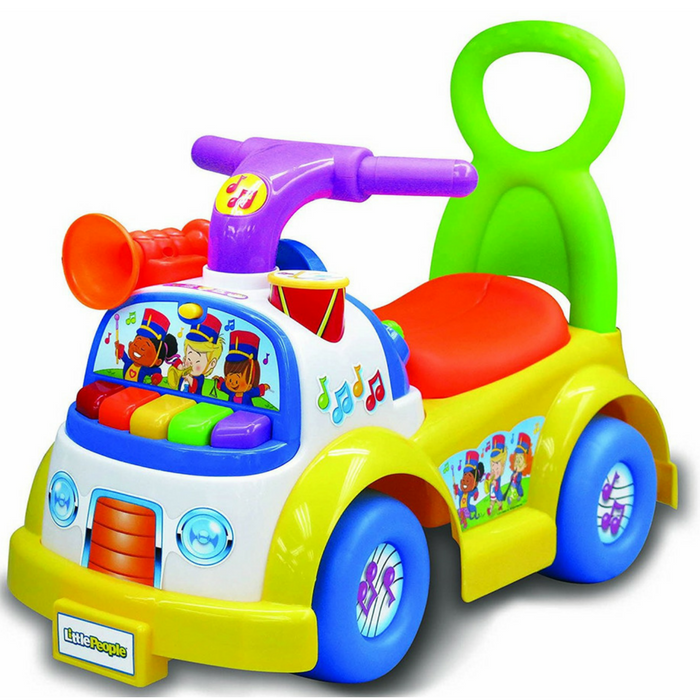 Join the parade with the Fisher Price Little People Music Parade Ride-On! Designed for imagination and creativity. The ride-on includes five different audio marching tunes and individual instrument sounds! So much music! So much fun!